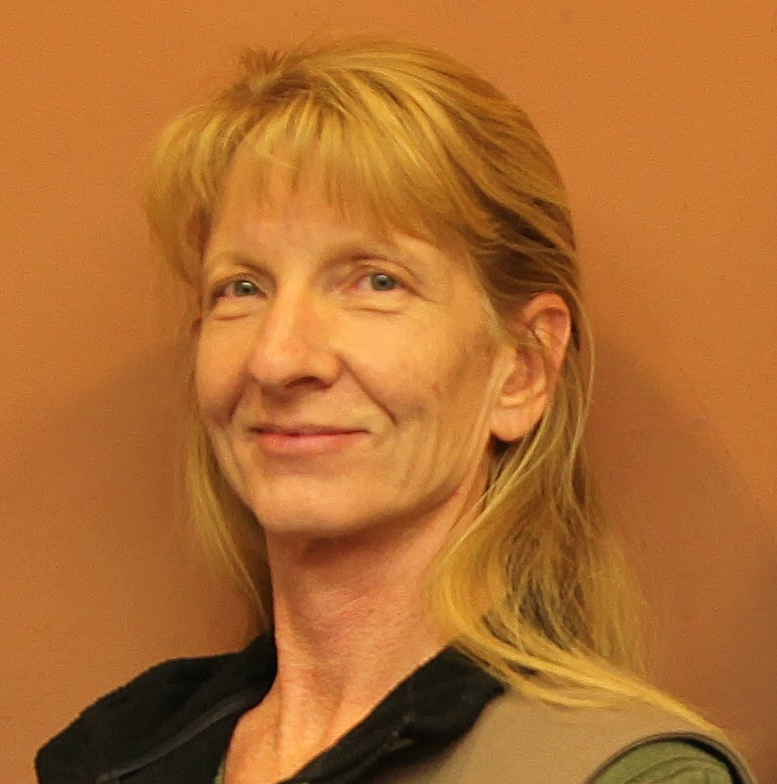 ST. GEORGE – Software programmers are in short supply in Southern Utah, and Code Camp is a good way to find and train future developers including women and girls, said organizers of the Dixie Techs monthly lunch meeting held Friday at the Taylor Health Science Building. Hundreds of computer programmers and designers went head to head to compete for prizes and bragging rights at the fifth annual Southern Utah Code Camp hosted by Dixie State University Nov. 21-22. Joshua Aikens, chair of the Dixie Technical Association, said this was the largest group ever attending Code Camp. Jeff Poulton, founder of Rocketmade and chair of Code Camp, talked about the importance of Code Camps for young girls, and women as well. Code Camp is a good way of encouraging and developing programming talent in men and women, he said. “Code Camp was an amazing experience for a lot of the females in our community, from young girls all the way up to adults,” Poulton said. Poulton has a 9-year-old daughter who is “obsessed” with NASA, he said. Friday morning, NASA launched the first spaceflight test of the Orion rocket, and the rocket made the most flawless, uneventful flight that they’ve ever had, Poulton said. After the rocket landed and news coverage showed the big congratulatory moment at the Houston Command Center, there were only older men wearing suits in the room. “And my daughter’s like, ‘where’s all the girls, Dad?’” And I’m like, ‘you’re right here, you will be there one day,’” Poulton said. 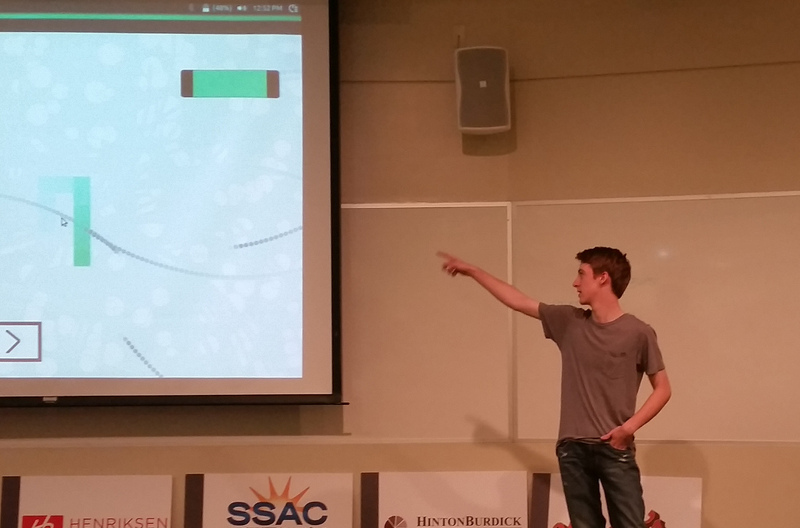 Three of November’s Code Camp winners demonstrated their projects at the meeting. Team Inn Keeper took third place in the industry category, and demonstrated their project, Inn Keeper. “I actually worked as an innkeeper,” team member Drew Calder said, adding that he experienced a set of problems firsthand that were addressed in his team’s Code Camp project. The problem was expensive and involved unreliable wires, dispatch systems and even electric alarm clocks. The Inn Keeper system addresses all of these issues with an app that would run on an in-room tablet providing communication with the front desk, wake up calls and several other services to hotel guests. The Hekate team took first place in the collegiate category, and presented their home automation project. While remote home automation with functions such as locking and unlocking doors is not new, most currently marketed systems run on bluetooth and have system commands in plain text – “which is a huge security risk,” team member Alexander Rodriguez-Vargas said. The Hekate project addresses the problem with improved authentication, using the latest version of Raspberry Pi, a credit card-sized computer that plugs into a TV and a keyboard. Team Lazur and the Wolves took third place in the collegiate category, creating a simple game during the 24-hour competition, which they demonstrated at the Dixie Techs meeting. 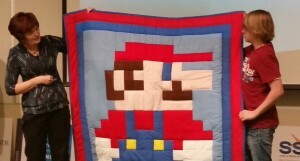 Dixie Techs wrapped up Friday with an auction of three computer-themed handmade quilts. The auction proceeds will go to next year’s Code Camp. Code Camp is a nonprofit event.